Due to popular demand, iMissal is available on Kindle Fire via Amazon App Store. Version 4.02 just released. Fixes Audio Issue! iMissal is available for your iPad, iPhone and iPod Touch & Mac. We developed it so the iPhone & iPad versions are bundled together; meaning you only have to purchase the app once and you get both versions. Version 3.13 just released. Includes many enhancements! Version 2.62 includes a multitude of improvements and new features. 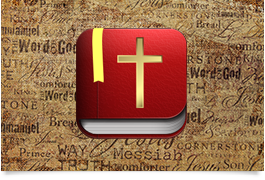 It is the perfect app to celebrate Lent & Easter Season. Get it today! Welcome to iMissal: Now updated with new Mass Translation! 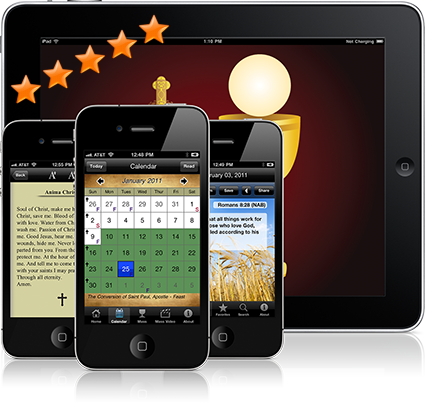 iMissal is the highly acclaimed Catholic reference application for your favorite mobile devices and Mac computers. 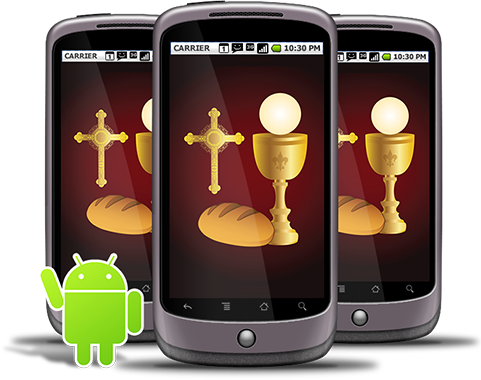 It has been one of the top selling Catholic applications since its inception. iMissal is not merely a Catholic missal but multiple applications rolled into one. Whether your are a Priest, Deacon, Lector, RCIA Candidate or Parishioner; iMissal has something for you! iMissal is currently available for iPad, iPhone, Android, and Kindle Fire. A complete Missal at your fingertips! Includes a full liturgical calendar with all the Mass Readings. Listen to the Mass Readings while you drive or simply relax and reflect on the Liturgy of the Word. Reflect on an unique bible verse for every day of the year! Three different bible translations included (NAB, NIV & KJV). Save your favorites or share them with your friends via e-mail or Facebook. A large collection of Catholic Prayers is included. Prayers are sorted by categories to easily find a prayer for a particular purpose or special need. Available as an In-App purchase on iTunes and Google Android only. Fully integrate Saint A Day into iMissal. Learn about the life of a Saint for every day of the year. Also includes a large collection of Saint prayers for many needs & purposes. 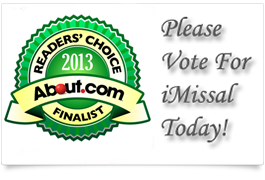 iMissal has been chosen as a finalist in About.com Reader's Choice Awards for Best Catholic App. Please vote for us each and everyday! 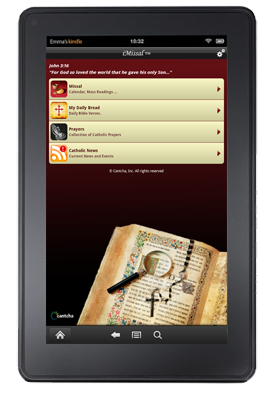 The entire NABre Catholic Bible, including footnotes, at your fingertips! Bookmarks, Higlighting, Notes, etc. Fully Search-able. Lots of customization options. The perfect companion for Bible Study. Currently available for iPhone, iPod Touch & iPad. iMissal makes a wonderful gift for you or that someone special during Lent & Easter. iMissal is a wonderful aid for bringing you closer to the Word of God and enhancing your relationship with our Saviour Jesus Christ. iTunes App Store has an option via the dropdown arrow next to "Buy App" where you can gift the app to someone else. Listen to the Liturgy of the Word! 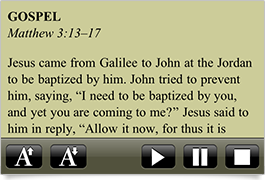 Use the audio controls on the bottom of the Mass Readings page to listen to the audio version of the Liturgy. It is a great way to reflect on the day's Liturgy! Listen while driving or lying in bed. Great option for those with vision impairments. Lectors have also found this invaluable in preparing for the Mass. Great Gift Idea for Advent Season! Apple, the logo and iPhone are trademarks of Apple Inc.
Android and the Android logo are trademarks of Google Inc.